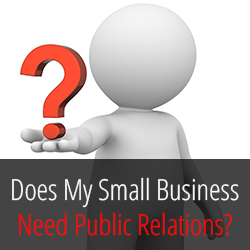 For many small business owners, hiring a public relations firm may be the last thing on your mind. For others, tight budgets may force you to simply put PR and marketing on hold until you have more capital at your disposal. If you fall into either one of these categories, you may be surprised to know that public relations can be one of the most effective ways of communicating your value to the marketplace. But PR is much more than just creating Facebook and Twitter pages, engineering publicity or hosting events. PR is an art that requires strategy, patience and most importantly, consistency. In order to fully appreciate the value of PR and how it can help support your business goals, you must first understand the news cycle. In 2014, we exist in a 24/7 news cycle. In today’s digital age, news spreads faster than ever. The days of waiting around for tomorrow’s newspaper to see what happened in the world are gone – Twitter breaks news every second throughout the day. More than likely, your customers are reading breaking news and the latest information on their mobile devices and smartphones while leveraging Google to make purchasing decisions – whether it’s finding a professional to help them with their finances or deciding where to go out to dinner on Friday night. Your business should be making news and generating a consistent buzz to help place you in the forefront of your industry. How do you “generate news?” Simple. Are you offering a new product or service? Do you have new ideas about improving your community? Are you a good corporate citizen? Have you hired a new chef? Answering yes to any of these questions means you and your business are making news and your clients and prospective clients want to hear about it. Identifying newsworthy moments and striking while the news is current is essential. Now that you understand how the news cycle works, let’s take a closer look at the importance of public relations for small businesses. For many small businesses, marketing budgets are either extremely limited or non-existent. PR helps you get the most bang for your buck. Long gone are the days of paying for advertisements on channels that your customers and clients may not even see or notice. A well-written press release distributed to the proper channels can garner free exposure in a medium that is relevant to your target market. In most cases, editorial coverage comes at no cost to the person or company being featured and goes a long way toward driving awareness of your business. Furthermore, a growing percentage of consumers are not persuaded by advertisements, as they know it’s a paid forum. The digital evolution has greatly swayed the rules of marketing your business. Investing large amounts of money in advertising is unlikely to provide the results your small business needs. Bill Gates, one of the most successful Americans of our generation, is famously quoted as saying “If I was down to my last dollar, I’d spend it on PR.” Mr. Gates understands the power of PR. Identifying, highlighting and promoting your news will help increase visibility and, in turn, help increase profit. Who can argue with that? PR provides value because it adds instant credibility through third-party validation. New business prospects are less likely to believe an advertisement over an article or broadcast segment presented by a trusted news source. Having a news outlet highlight the merits and current happenings of your business and/or quoting you on topics that matter to your business solidifies your position in the industry. 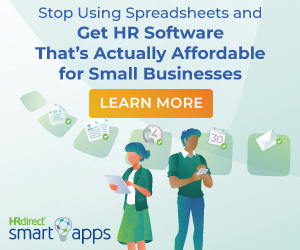 Look at it like this: an advertisement is pretty and is designed to show off how great your business is, while a third-party endorsement is like getting extra brownie points from those around you. Don’t praise yourself too much; allow the media to do it for you. You cannot put a dollar amount on the value of being featured in your local paper or quoted in The New York Times. Public relations also provides the opportunity to develop relationships with media gatekeepers. These relationships are essential, especially since the news your business is making must be filtered through these individuals who are seen as influencers. A healthy relationship could also lead to multiple opportunities to highlight you and your business. As long as the exposure is presenting you and your business in a positive light, you can never have too much news coverage. The more people see your brand on these outlets, the more they will trust you and your business. Increased exposure also creates the impression that your business is larger than what it actually is or that is in a growth mode. Even if you are a one or two person company, getting regular media coverage creates the perception that you are “everywhere.” Remember, perception is reality. Unlike traditional advertising, PR allows you to tell compelling stories about your business through the news media. Because the reporter is simply the messenger, it is important that you plan how you want to frame the story’s message. Having prepared materials on hand will save time and ensure that all messaging is consistent. Company fact sheets, brochures, executive biographies and “quotable quotes” should be readily available before you start to communicate with reporters. You can also control where your company’s news will appear. A huge benefit of PR is that it can be tailored for different segments of the media. For example, if your business serves women, you can target publications and media outlets that cater specifically to the female population. This requires research on the reporter, the media outlet and its demographic. This extra effort is worth the time and energy you put in because you know you will be reaching your target audience in the end. In this day and age, most publications and broadcast shows have a digital library on their website. Essentially, you are instantly boosting your SEO when anything on the web about you and your business is published. This is extremely beneficial for your business as coverage will have a longer shelf life, which allows it to be seen by more people. Any media coverage your business receives should also be shared on your business’ social media outlets, websites and included in monthly electronic newsletters. Sharing your news across these channels allows more people to see it and share it, which increases visibility and allows your news to float around the web longer. Sharing content helps expand your company’s digital footprint. Taking a look at your business plan is the first thing you need to do when considering implementing PR. What is your company value proposition? How do you differ from your competitors? Find your niche and capitalize on it. What types of PR and marketing tactics will help you reach your goals? Then, you must figure how you want to allocate your resources for PR and marketing. After a thorough review, you’ll be able to implement tactics that help separate you from the competition. The next step is one of the most important aspects of public relations. You must do research. Dig deep to find out where your client base resides, their age, careers, income, what they like to read, where they receive the news and even the social media channels they utilize the most. The information gained from this research will come in handy when making decisions about pitching your news, ideas and company information to the media. PR PITCHING TIP: When reaching out to the media, you should always have an angle and hook that connects your story idea and the demographic the outlet serves. When PR is leveraged in conjunction with social media it is even more effective. According to Mediabistro.com, Facebook has 1.2 billion active users. If Facebook were a country, and its population was made up of its members, it would be the third largest country in the world. Twitter has 232 million active monthly users and LinkedIn has 250 million registered users. These massive numbers are saying that your current and prospective clients and customers are already on social media. You need to have a presence there to connect with them! Not only do these free outlets complement your business’s website, they increase your “digital footprint” and overall visibility. Through these sites, you can easily engage with your target audience. Creating conversations and sharing content are ways to “pull back the curtain” and show the softer side of your business. People are more likely to do business with you if they like you. Showcasing the personal side of your business will show potential customers that you are human and worth doing business with. SOCIAL MEDIA TIP: When your business receives coverage from media outlets, share the news on your social media channels to maximize its audience. More than likely those who doubt the power of effective PR don’t understand it or don’t have the skill set to make it happen. Because small businesses don’t have access to the same financial resources as larger companies, PR is often an even bigger necessity. Now that you understand the art and value of public relations and how it can help boost your business, it’s time to answer our initial question… Does your small business need public relations? 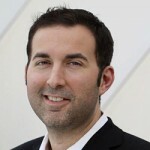 Kevin Dinino is President of KCD PR, an award-winning public relations and marketing agency based in San Diego, California that delivers communications and digital marketing strategies to the financial and professional services industries. Mr. Dinino has over 14 years of experience managing communications and marketing campaigns and held senior positions at LPL Financial and TD Ameritrade prior to founding KCD PR in 2009. He is a sought after speaker on digital marketing best practices and is frequently sourced for commentary by publications such as The Wall Street Journal, SmartMoney, the San Diego Union Tribune and InvestmentNews. sounding too promotional as such or else people could back out from following you. same technique that movie trailers use.